Are you looking for a high-end solution to manage the secure entrance and exit for your Organization with an automated Access Control Solution in Dubai? Or, are you looking for a standalone device to restrict the entry to your warehouse? Or, do you want the real-time monitoring report of the people who accessed the doors and zones of your office? 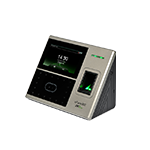 SAN Security a leading supplier of biometric systems across UAE and Middle East.We presents a complete range of time attendance products with Fingerprint, Face, Palm Vein, Card like RFID, Mifare. HID etc. designed exclusively to enhance security and improve performance. Unlike keys, cards, passwords or pin codes, biometric security readers provide non transferrable access control that cannot be deceived or fooled – individual must be physically present in front of the recognition device to gain access. SanSecurity LLC presents the best easily manageable Door Lock Systems in Dubai We provide both simple and complex Door Lock Systems in UAE as per the customer’s requirements. Precisely, we are a trustworthy provider of outstanding Access Control Solution in Dubai. Access Control Solution in UAE – The primary objective is to protect physical and human assets. Door lock systems in Dubai are designed to ensure adequate scalability and flexibility over the access to secure areas. For, large enterprises Access control Solution in Dubai should be designed to meet the security needs irrespective of the size, location, layout and of course timings. San Security provides the highly secure Door Lock Systems in UAE to restrict the unauthorized access across corporates. Finger print access control is used most commonly for this purpose. San Security introduces the Matrix COSEC access control terminal for the complete time attendance solution for big and small organizations Access Zone is a predefined physical area for which specific access policies can be set based on the users and time schedules. Matrix Access Control Solution in UAE controls which user enters which area at a specific time. Access Mode is allowed to enter the zone based on the mode of entry set by the admin. Admin can decide the login credentials and the area of access for each mode. Access Level can set to a different mode of access. Access level controls the privilege to the user to access the gadgets in restricted areas. This can be done based on the time zone also. Occupancy Control can define how many people can access a zone in a particular period of time. When the count limit exceeds the system locks additional login. Smart Identification: The users’ information is stored in the smart card instead of the device. When many users log in the smart cards are more helpful to identify the user credentials easily ZK Access control system is another product which is more flexible and controls all the process through real-time monitoring. Hence, the access control system is managed through the web browser. 3. Non- transferable access control and Real-time Monitoring. Its standalone or network-based access control operation paves a path to ensure a secure access solution for hotels, banks, hospitals, small/medium enterprises and many more…While the software is smart enough to manage and control many devices together in a network, the hardware also is reliable and easy to use with any kind of door systems. A centralized management concept is used in the Door Lock Systems in Dubai and is connected to door access management by biometric finger print identification, smart card identification and palm vein reader identification.